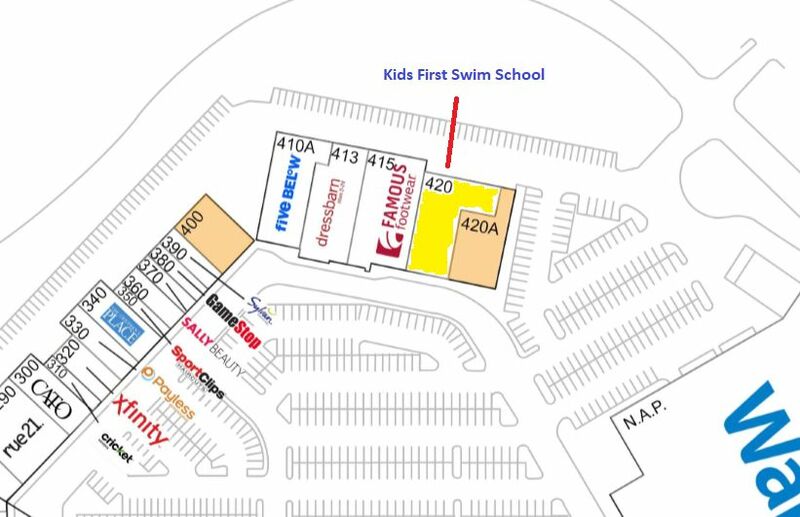 We just reported yesterday that a new chain of kid’s swimming instruction facilities was coming to Deptford NJ, and reader Brian E pointed out that the Company’s main website also indicates one is planned for Turnersville, NJ! Had I realized it at the time, I probably would’ve put both locations into one post. The Turnersville location was listed in the News section of their corporate site, and a look at the website for Cross Keys commons (where the Turnersville Walmart is located) shows the store on their site map… to be located in the same building as 5-Below and Famous Footwear! The interesting thing about these centers, is they obviously need a swimming pool… and all the available photos show it as a inground pools, so it will be interesting to see them build an inground pool inside an existing building! This new store joins the recently added Ulta Beauty and Hibbets sporting goods. The surprises continue to roll in for the Almonesson Rd area of Deptford, with the signing of Hobby Lobby coming to join the new Burlington Coat Factory at the Court at Deptford! 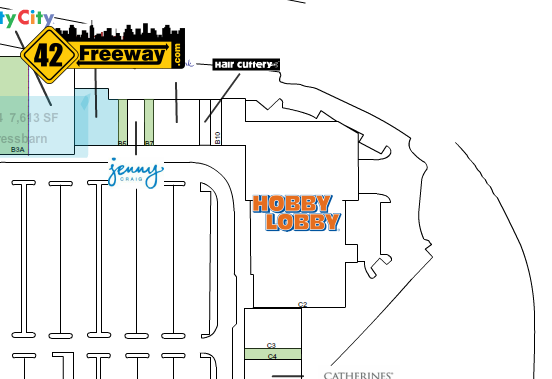 Round 1 Entertainment Center Coming to Deptford Mall in 2020! Bowling, Arcade, Karaoke, Food and Beer! 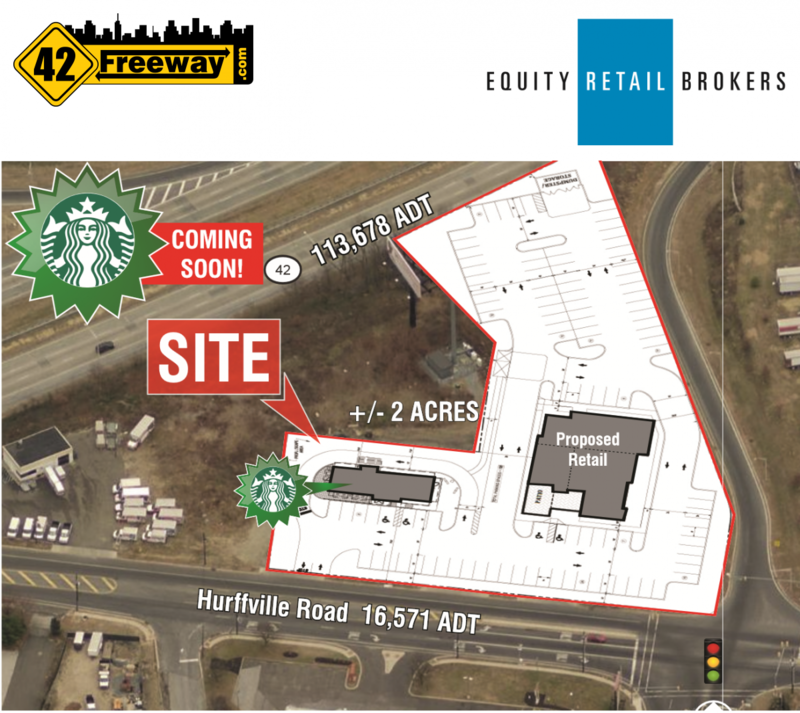 A Round 1 Entertainment venue is coming to Deptford Mall with a targeting opening in 2020! 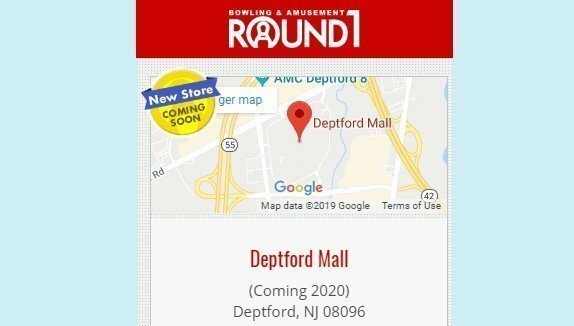 This comes from the Round1USA.com website where Deptford Mall is listed at least twice as “Coming Soon 2020” on the website!